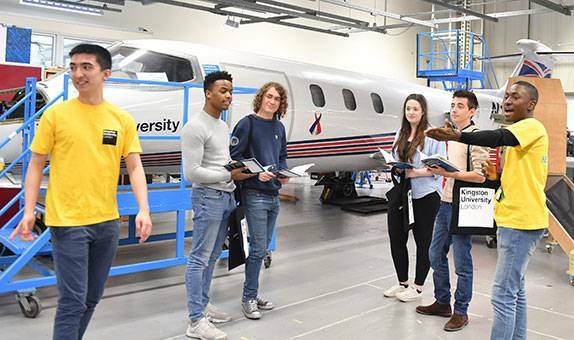 Roehampton Vale is purpose-built and completely dedicated to the study of engineering. The campus is just a short bus ride or drive from Kingston town centre and within walking distance of Richmond Park and Wimbledon Common. Facilities here include wind tunnels, a range of vehicles, a flight simulator and a Learjet plane. Our labs include a composite material fabrication lab; materials testing equipment and rapid prototyping machinery; and computer-aided simulation technologies. We also have the latest CFD, CAM and CAD software, plus an embedded system laboratory with National Instruments equipment. The learning resources centre includes engineering-specific resources and databases, as well as a cafe. 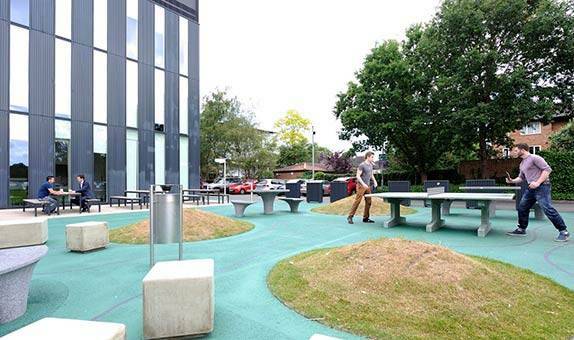 Roehampton Vale campus is located just three miles from Kingston town centre, with easy access by public transport. The 85 and K3 buses stop outside the campus. For further information, visit the Transport for London website. London buses no longer accept cash, but you can pay using an Oyster travelcard or with a contactless credit card. More information on fares and payments can be found on the TfL buses website. We also run a free intersite bus service for students, staff and visitors.The KU1 connects this campus with Kingston and Surbiton mainline train stations and Kingston town centre. Trains run regularly from London Waterloo to Kingston station (midweek four trains per hour, journey times 28–33 minutes), which is in Travelcard Zone 6. For further information and timetables, visit the National Rail Enquiries website. There is a network of cycle routes adjacent to most university sites. Cycle parking facilities are available on all sites, including halls of residence. For further information, visit the Cycle Kingston website. We strongly recommend visitors use the excellent public transport links instead of driving. The University has limited on-site parking facilities and prioritises staff during core working hours (Monday to Friday, 7.30am to 4.30pm). Limited visitor parking is available but must be pre-booked through the person you are visiting, as parking enforcement measures are in operation at all sites. Free car parking is available on all sites for blue badge holders and there are docking bays for electric cars. All car park users agree to the University car parking terms and conditions. Please visit the undergraduate Open Days page for further information. Heathrow and Gatwick airports international airports are the closest to Kingston, with coaches, buses and trains linking the airports with the town. 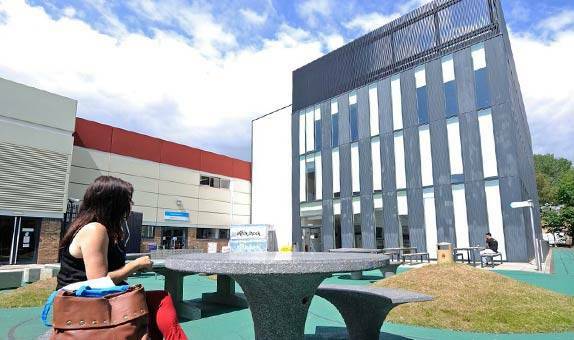 Kingston University provides a supportive, accessible and empowering environment for all students, staff and visitors. This campus has two buildings, both with lift access to all floors. There is accessible parking for Blue Badge holders. You can see detailed accessibility guides for all our sites on the AccessAble website.